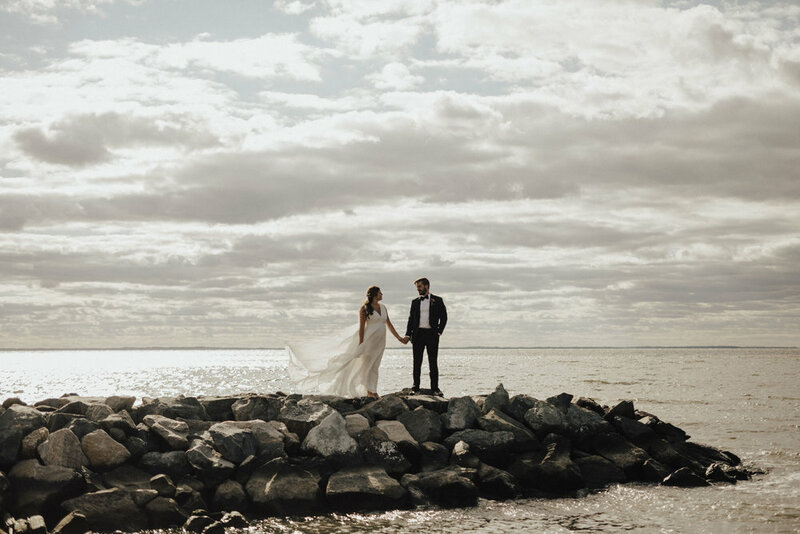 Jenn & Chase wanted their wedding to feel unique and personal, and the Haven Harbour Inn & Marina quickly became the perfect backdrop. From the hand-made altar Chase and his father built, to the shot of whiskey during the unity ceremony led by Chase's grandmother, the day was truly their own. Large, tropical leaves adorned the reception tables, surrounded by vintage hurricane candle holders. The couple had oysters from the Chesapeake Bay, as well as their favorite pizza truck, Timber Pizza Co, cater the evening. A close friend DJ'ed the event and had guests on the dance floor all night long. "My story with Chase began in our college years. We were both DJs working for the same event company and soon realized we had more in common than we thought. We became fast friends and a dynamic team. Whether it was DJ-ing sweet sixteen parties, playing hooky to explore our city, or planning a spontaneous trip to Mexico...we were completely inseparable." 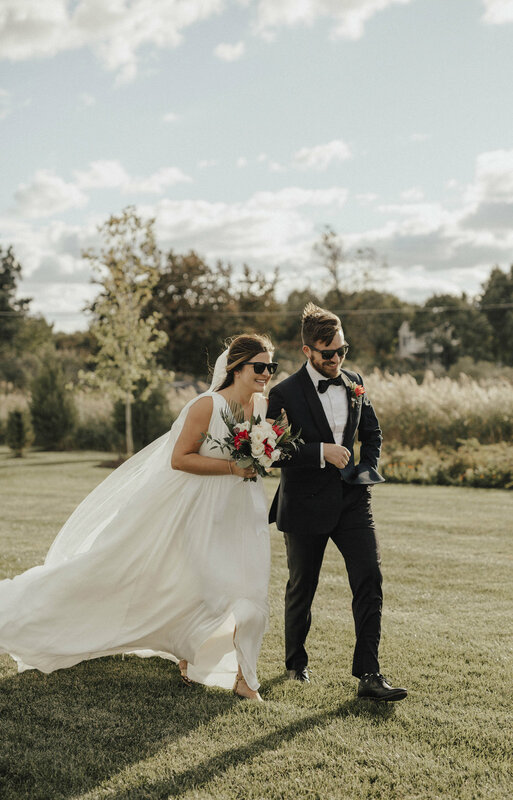 THE SAMANTHA GOWN | Jenn booked her bridal appointment at Lovely, not knowing there would be an Alexandra Grecco trunk show going on that same weekend. It couldn't have worked out better. "I saw Samantha on Instagram as soon as the collection was released and immediately knew it was my dress. I wanted a simple, modern gown with an edgy touch - the cape just made it for me. 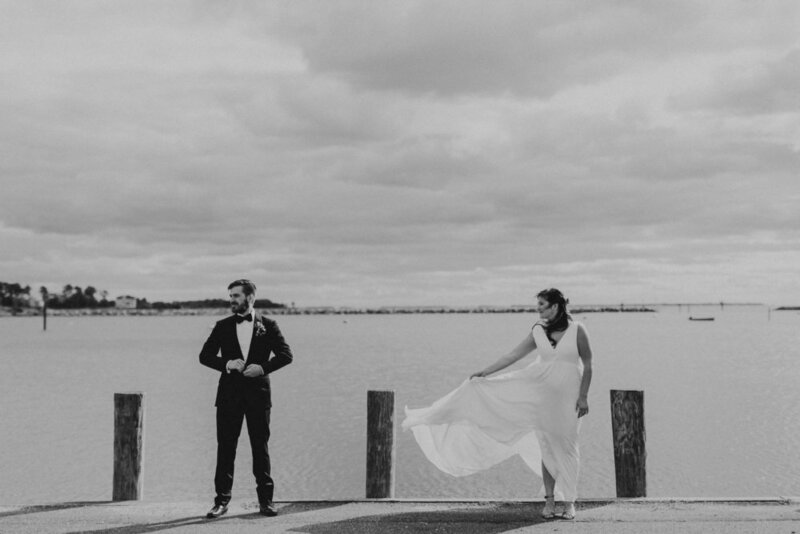 The movement blew me away, and the gown looked completely magical as it danced in the wind."